December 16, 2012 – Northrop Grumman is supplying the LCR-100 attitude and heading reference system (AHRS) for Sikorsky's new S-76D helicopter, which recently received Type Certification from the U.S. Federal Aviation Administration. The LCR-100 is a standard component of the Thales TopDeck avionics suite on the new medium-sized, twin-engine helicopter. Northrop Grumman provided both the LCR-92 and LCR-100 fibre-optic AHRS on earlier versions of the S-76 helicopter platform. The Sikorsky S-76 is an American medium-size commercial utility helicopter, manufactured by the Sikorsky Aircraft Corporation. The S-76 features twin turboshaft engines, four-bladed main and tail rotors and retractable landing gear. Development of the follow-on S-76D had been subject to delays due to technical problems in expanding the flight envelope. It is to be powered by 1,050 hp (783 kW) Pratt & Whitney Canada PW210S engines driving composite rotors and will incorporate active vibration control. A prototype made its first flight on 7 February 2009 and type certification was initially expected in 2011, with deliveries forecast for the end of that year. Performance is anticipated to be substantially improved with the added power, but initial certification will retain the same 11,700 lb gross weight and maximum 155 kn (287 km/h) cruise speed. 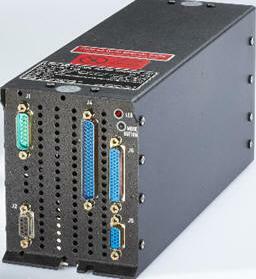 Northrop Grumman LITEF is a leading supplier of inertial sensors, inertial reference, and inertial navigation systems and computers with products deployed in more than 30 countries in aircraft, marine vessels and ground mobile applications. The company has more than 15,000 fibre-optic gyro systems serving in aircraft worldwide. Northrop Grumman is a leading global security company providing innovative systems, products and solutions in unmanned systems, cybersecurity, C4ISR, and logistics and modernization to government and commercial customers worldwide.